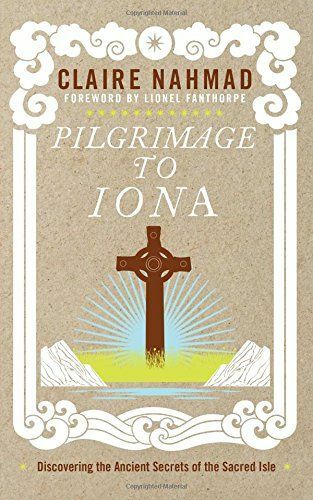 A celebration of the beauty and mystery of Iona a hallowed place of pilgrimage and spiritual self-discovery.With a history swathed in spirituality and mystery, the Scottish isle of Iona has always been revered as a holy place, the centre of Scottish Christianity. Legends abound of Jesus and Mary Magdalene alighting and living here before the Crucifixion, and Christ is believed to have visited the island with his mother. Celebrating sacred Iona as a place of pilgrimage, Claire Nahmad explores the fascinating ancient link between Iona and Rosslyn Chapel, the extraordinary unfinished building near Edinburgh, another prominent destination for those interested in biblical, masonic and pagan history. Nahmad takes you on a journey of revelation, unlocking the golden secret of the island and unveiling the undisclosed legacy of the Knights Templar.